He told me I had to try it for myself. So I did. The X-Force workout is a circuit of about a dozen X-Force machines done in quick succession. The experience is like a fast-moving personal training session with someone carefully tracking your weight and reps to make sure you’re really working at your edge. 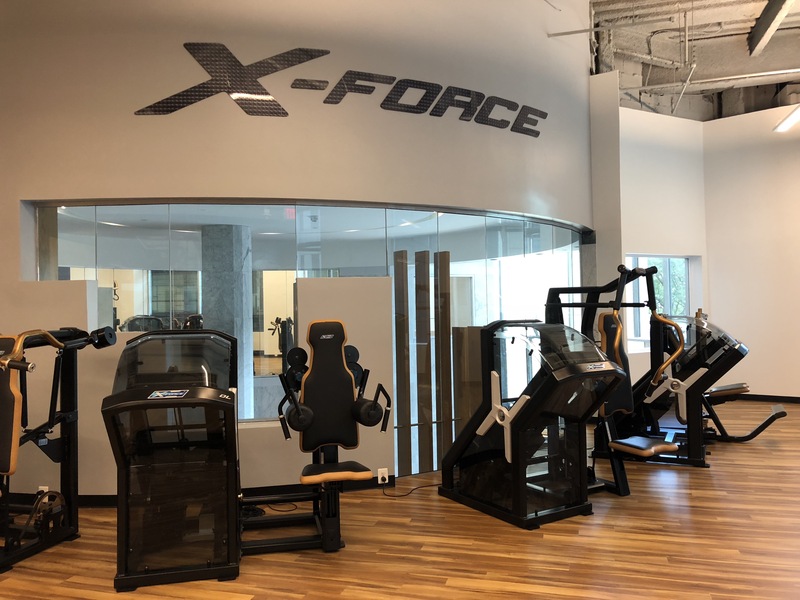 Here’s is a great write up of an X-Force workout in the Philly Voice sensationally titled, Working Out With X-Force: The Hardest 30 Minutes of Your Life. X-Force training is particularly good at one thing: increasing muscular size. On paper, it does that really well. In fact, so well, that they claim it only takes one 30-45min workout a week to see results. It may sound too good to be true. Yet unlike other bogus fitness claims, X-Force actually has a lot of good science to back it up. 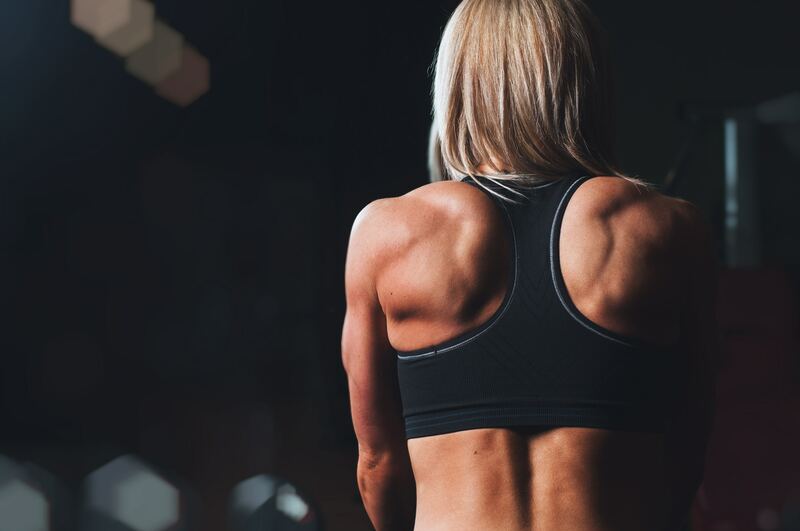 When it comes to building muscle, there’s a whole bunch of genetic, neuronal, hormonal, nutritional, and mechanical mechanisms that impact how quickly and how much muscle you can create. Here’s a video explanation that I created together with TEDed: What Makes Muscle Grow?. Training to Failure: X-Force is designed to bring you to the point of failure on every single set. And guess what, training to failure, the point where you can longer produce a contraction again no matter how hard you try, is probably the most important stimulus for muscle growth. Most of the below mechanisms are subcomponents or byproducts of taking the muscle fibers to the point of failure. Mechanical Damage is about stimulating the muscle fibers with significant tension to damage the sarcolemma and myofibrils in muscle tissue. X-Forces uses loads around 70-85% your 1 rep max for about 8-10 reps. This loading parameter is typically considered the ‘sweet spot’ of reps/load to optimally damage tissue and trigger the immune system to repair damaged fibers and build them thicker. Time-under-tension is about keeping the target muscle under constant tension for a prolonged period without letting the muscle relax. X-Force uses a 3-1-5 approach: 3 seconds of lifting the weight followed by a 1-second hold, and 5 seconds of eccentric work. This equates to about 9 seconds of tension per rep. Aside from a brief pause at the bottom, your muscle will be under constant tension for over 60 seconds during an X-Force set. This maximizes local growth factors in the tissue that promote muscle growth. Eccentric Overload takes advantage of the fact that your muscles are stronger in the lengthening (eccentric) phase of motion. This means you can handle more weight and reach failure faster if you overload the lowering portion of the motion. X-Force uses specialized machines that increase the resistance on the lowering part of the motion, which increase muscle stimulating hormones and transcription factors like insulin-like growth factor (IGF)-1 and mTOR. Cellular Swelling is a result of osmotic changes in the cell and the local pooling of blood when muscle fibers contract concentrically and eccentrically under significant load for extended periods of time (as in an X-Force workout). This type of training constricts the blood vessels, altering local fluid dynamics and leading to a hypoxic environment that promotes the build-up of lactate, a key molecule in signaling muscle growth. This “pump” is also what burns so good/bad during your workout and makes you look swole as f*ck. Limiting Cortisol Hormone Release. Cortisol can greatly limit muscle growth by increasing protein breakdown and decreasing protein synthesis. Prolonged stress (both physical and psychological) is the primary trigger of elevated cortisol. By limiting the exercises to a single set without much other exertion except moving from one machine to the next, X-Force minimizes systemic stress and keeps the overall training volume low. Theoretically, this short workout would not cause as much of a cortisol spike as longer workouts, priming your body to remain in a muscle building state. X-Force eccentrically overloaded training. A fun experience trying these specially designed machines that are supposedly so effective you only need one 30 min training session a week. Does it really work? Read my complete review on my blog. Link in bio. The above mechanisms are true in theory, but are they actually true during X-Force workout? Uncertain. Since I’ve only used the machines once, I’m in no position to comment on their long-term efficacy. I can say anecdotally that a friend who has been doing X-Force religiously for a year has developed significant muscle mass and says he feels as good as ever. Would he have seen similar results if he adhered to another training program consistently for a year, possibly? While there are numerous studies on slow resistance training and eccentric overload, I couldn’t find any scientific studies using X-Forces machines specifically, making it difficult to extrapolate results to this unique protocol. Skepticism is the best approach in an industry built on hyperbolic claims and self-promotion. X-Force is more specific (i.e. improve muscle mass) and more scientifically sound than most pre-packaged training programs out there. It is also not as cultish as other fitness tribes, partly due to the fact that there are only a few gyms in the country with the equipment. Stimulating muscle growth is not the same as improving strength. Yes, muscle size and strength or correlated. Yes, training for maximal muscle hypertrophy can improve strength, especially when following the principles of progressive overload, which X-Force does by tracking workout loads and increasing weights each workout. However, absolute strength is about muscle size and nervous system efficiency. Neurological adaptations favor increased muscle strength via improvements in motor unit activation, firing frequency, and synchrony of high-threshold motor units. Consistently training in the 8-10 rep range simply won’t improve strength capacity to the same extent as training heavier in a lower rep range. Stimulating muscle growth is not the same as improving speed. Using the 3-1-5 lifting method means controlling acceleration and rate of force production. You are not lifting explosively (in fact doing so can be dangerous; see a later bullet point). X-Force will not train your neuromuscular system to be powerful (i.e. produce the greatest possible impulse in the shortest possible time). It will, however, help you develop the motor control to express force effectively at a lower speed, but you will need to supplement with other explosive training. If you’re an athlete focused on performance, then strength and speed are paramount. As described above, X-Force does not train these aspects of fitness directly and may have limited carry-over to your preferred sport. For natural lifters, the primary mechanism to trigger protein synthesis and muscle growth is training frequency (and to a lesser extent nutrition). Under normal circumstances, protein synthesis is elevated in a trained muscle for a day or two after a workout. Although fascia and tendon tissue undergo a longer-duration remodeling, protein turnover (build-up/breakdown) returns to baseline fairly quickly, which leaves a whole lot of the week when you could be stimulating muscle growth. The same criticisms you could make for most machine training apply to X-Force. All exercises are seated. If you already have a strong and functioning core, you will naturally engage your trunk during the movements. If not, you’ll probably overly rely on the backrest with limited benefit to intrinsic core stabilizers. Stimulating muscle in limited movements will not address gait deficiencies (walking and running) and other compensation patterns. Most exercises are entirely sagittal plane movements (forward/backward) and performed bilaterally (both limbs moving the same way at the same time. Theoretically, you could train limbs independently. The lack of multi-planar, multi-angled movements not only leaves gaps in natural movement patterns, but the growth stimulating effects of the workout will diminish as your body adapts to the predetermined angles set by the machines. This is why exercise rotation is warranted to maximize the hypertrophic response of training, something that is difficult with machines. Obviously, machines do not train other elements like balance, agility, or coordination. Skilled movements that require synchronization of multiple muscles firing together in complex patterns are well beyond the scope of an X-Force workout. Although your heart rate might get significantly elevated for a minute during heavy leg presses, the workout will have little to no cardiorespiratory benefit (nor does it claim to). Training to failure is best used with isolation exercises. Because multi-joint compound movements require significant stabilization by a wide range of supporting muscles, it is difficult to tell what particular muscle is preventing you from continuing on with the movement. In other words, failing to produce a movement doesn’t necessarily mean that you’ve failed every muscle involved. Note: X-force tries to mitigate this by using a pre-exhaust method in which more isolation movements (e.g. hamstring curl and leg extension) are superset with more compound movements (e.g. leg press) to facilitate more complete failure of all the muscles involved. Training to failure is possible “fake” due to a low pain threshold or systemic nervous fatigue. Some people simply can’t tolerate the discomfort of a highly lactate producing training program and will stop well short of their true muscular potential. Others may experience central nervous system depletion and lack the intrinsic push to squeeze out that extra rep, thereby stopping the set even if the peripheral muscle fibers still have contraction potential. The eccentric overload is non-specific depending on the initial tilt of the weight stack. The website claims a 40% increase in resistance on the negative, but there seems to be some ambiguity about this actual number. Plus, the fact that the eccentric load cannot be adjusted, there’s no way to accommodate for the specific needs of different bodies and movements. If you don’t use a slow and controlled movement, you can get slammed by the weight stack as it’s switching position which is a jarring and unpleasant experience. Obviously, the trainers are there to coach you so this doesn’t happen. You can safely and effectively increase muscle mass and develop foundational muscular strength in most major muscle groups. One-on-one personal training attention guarantees progressive overload and training to failure. Each workout is clearly logged with your reps and weight and kept in a personalized book for future training. Clean, welcoming, and well-lit studio with a great view of Philadelphia City Hall. Extremely time-efficient workout. Nearly every moment you’re in the studio is geared towards effectively fatiguing your muscles. This is perhaps one of it’s greatest strengths, and why so many are willing to pay a high price for convenience. 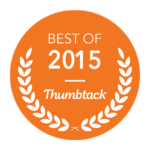 All the staff and trainers were fantastically friendly and knowledgeable. Is X-Force right for you? Here are some people that might benefit from this training program. The Young Fitness Enthusiast. You might find this a nice complement to some of your other workouts. If you’re into yoga, Pilates, or other forms of exercise that don’t involve heavy resistance, this could help maintain a base level of strength and muscle mass for your other activities. The Busy Professional. If you have an over-scheduled professional and personal life, this 45-minute workout is extremely effective. If the price point is within your budget then, by all means, take advantage of its efficiency. If your goals are more about aesthetics and health than performance, this is a great way to achieve this end. Energetic Elderlies. For older populations looking to prevent age-related muscle atrophy (sarcopenia) and maintain bone density, this is a good way to safely train with enough load to preserve lean muscle mass and bone strength. X-Force style training can improve glucose control and stimulates growth hormone, both of which are extremely important for metabolic health into old age. Plus, regular resistance training can help prevent bone fractures so prevalent in elderly populations. Since X-Force machines are extremely joint friendly, you can strength train safely in an intimate environment with minimal chance of injury. Prehab/Rehab. If you have specific body parts that are underdeveloped or recovering from an injury, using this method can improve your mind-muscle connection, enabling you to really feel the muscle working and build back a base level of strength. If you don’t want to shell out a ton of cash for an X-Force workout, here’s how you can take advantage of similar muscle building mechanisms without specialized equipment. As stated above, these techniques are best done with isolation moves or machines and a trusty spoter or trainer to assist. Complete a set with a weight that you can get 6-8 good reps.
Then rest 20 seconds and do as many more reps as you can. Rest another 20 seconds and do a few more reps.
Continue until you can no longer lift the weight. Accentuate the eccentric (negative) part of your lift by lowering the weight with constant tension, fighting gravity every inch, for at least 6 seconds. Hold the stretch at the bottom for a few seconds while keeping tension in the muscle. Lift the weight with moderate speed and keep flexing and tensing as hard as you can on the negative. Aim for 6-10 reps controlled reps with a slow lowering. Once you’re near failure, have a spotter apply just enough force to allow you to perform the concentric motion, but do the eccentric phase unassisted. Complete a few assisted forced reps until you can’t sufficiently control weights yourself. Keep in mind that adaptations within the muscle are dependent upon the specific program employed. Doing X-Force regularly will make you better at doing X-Force. The same applies to any type of training. Sure there are cross-over effects, but transferability of adaptations across contexts, movement patterns, speeds, and loads is often quite limited. Make sure your training is specific enough for what you really want to improve. I’m not against training slow at times, nor do I think machines are the devil. Tension is tension. Your muscles don’t know if the resistance is coming from free weights, a machine, a band, your bodyweight, a friend, an enemy, etc. Let’s not get overzealous about one training tool or protocol. p.s. If you’re interested in private health and fitness coaching, you can message me on my contact page. Also please share with anyone you think might benefit from reading this article. Thank you!